For your next hotel booking in Manosque, Haute-Provence, Pré Saint Michel Manosque is an ideal destination. This charming hotel is perfectly located for booking your weekend, holiday or during a seminar near the town of Manosque. For a relaxing and discoveries in the sunny South of France, this 3-star hotel in Manosque offers a quality book and a warm welcome. Genuine resort in the heart of the Luberon, the hotel Le Pre Saint Michel is a place for well-being in Manosque for booking choice. You enjoy a memorable stay in Manosque and enjoy stylish accommodation in the hotel Le Pre Saint Michel reservation with confidence. For bookings with family or friends in the Haute-Provence, this hotel of charm and character in Manosque is located between the lavender fields of the park of the Verdon and the Luberon Mountains. 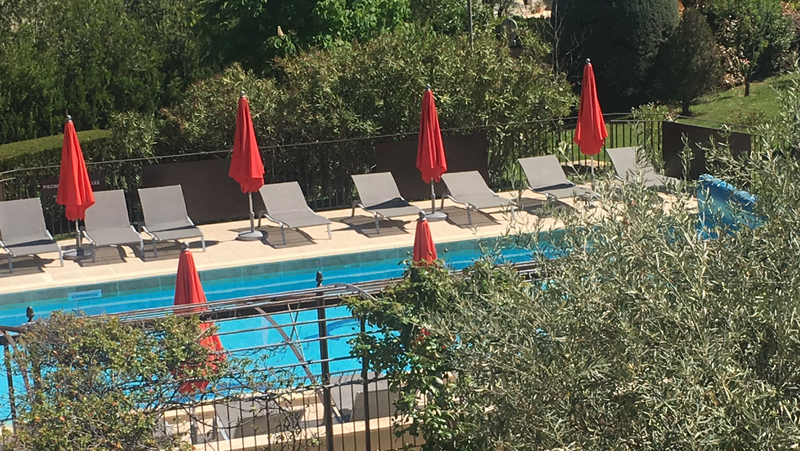 Swimming pool, garden, restaurant, this 3-star hotel in Manosque offers varied services for reservation quality in the heart of nature Provençale. In a sublime landscape, the hotel Le Pré Saint Michel Manosque is ideal for a reservation between relaxation and discovery. This 3 star hotel is strategically located for a getaway time for a weekend in the true nature of Verdon or a relaxing holiday in Manosque. Between fields of lavender and olive trees, overlooking the town of Manosque, this charming hotel offers a unique setting for a getaway and book quality.